Starting this Monday, we are going to try out a new feature: From the Archives. On a monthly basis, we’ll look back at some of the MakerBridge’s early blog posts that you may have missed. 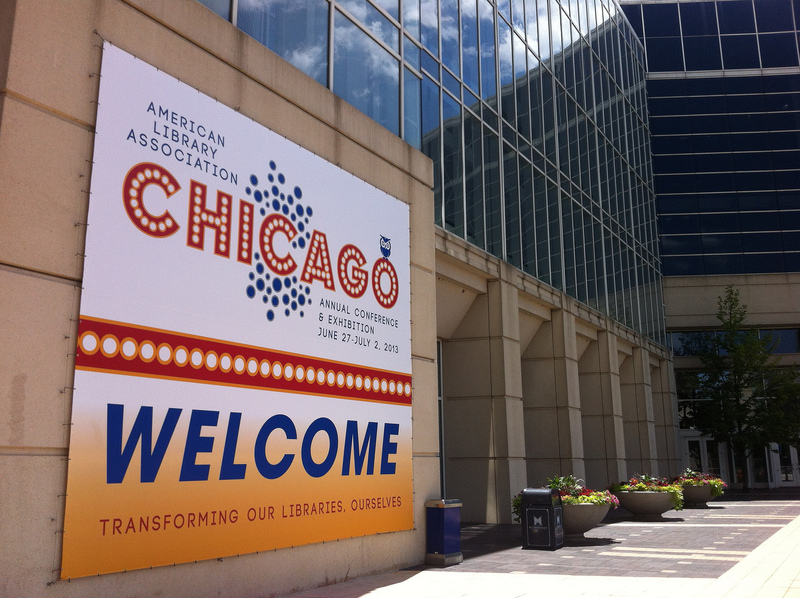 Since this year’s ALA Annual is wrapping up, it seemed like a good time to look back at this post from two years ago. What has changed since then with regard to makerspaces in libraries? What has stayed the same? As Kristin mentioned in our last blog post, makerspaces and making were definitely a hot topic at this year’s ALA Annual Conference. I learned a lot and had a lot of really good conversations with librarians all over the spectrum, including school, public, academic, and corporate librarians. Makerspaces are being integrated into all sorts of different environments, and though each is distinct in how it operates, whom it serves, and the types of projects people are working on, I did notice a number of common ideas that I think are important for anyone looking to be involved with makerspaces. When thinking about makerspaces and maker projects, it’s always helpful to keep in mind that there is more than one way to do things. If one approach doesn’t work for you–it’s too expensive, your staff doesn’t have the skills, your patrons aren’t responding to it–don’t be afraid to seek out new, creative methods. After all, what could be more in the spirit of making? One example I saw of this at the conference was the Champaign-Urbana Community Fab Lab’s interesting approach to 3D design. Ordinarily, designs for 3D printing are made with special 3D modeling software; this can be a complex process, especially for kids. 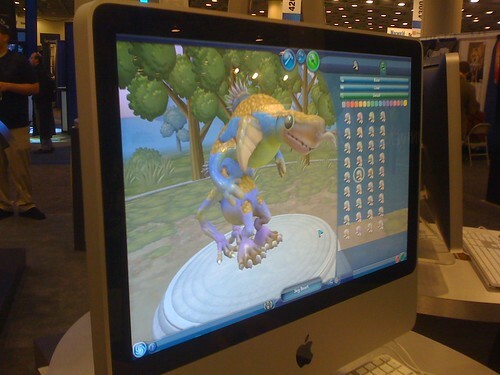 To make the design process more fun, engaging, quick, and comprehensible, the CUC Fab Lab uses the computer game Spore’s creature creator instead. Kids and adults can easily place and manipulate shapes in an interactive 3D environment, then have their creation exported and sent to the 3D printer. The CUC Fab Lab also uses the X-Box Kinect for 3D scanning, a technique also being explored by the University of Michigan 3D Lab, among others. Rethinking the uses of various software, hardware, and tools can help bring a lot of creativity into your makerspace. A few weeks ago, we wrote about Ann Arbor District Library’s partnership with All Hands Active makerspace. Allen County Public Library in Fort Wayne, IN has created another successful makerspace by partnering with a maker organization called TekVenture. 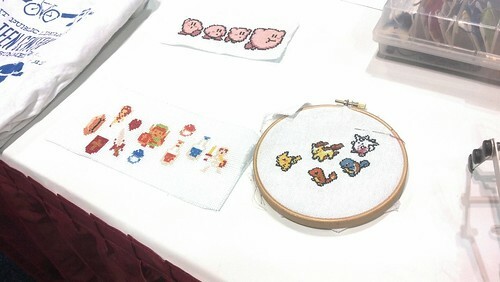 At ALA, a panel of local makers spoke about Chicago’s maker ecosystem and the important role of libraries in providing access to making. Dan Meyer, of the Museum of Science and Industry’s FabLab, said, “Unrestricted access to making will improve people’s lives and help them change the world” and also credited libraries with helping him learn to become a maker. Libraries do not have to take on makerspace projects alone. Reach out to makers in makerspaces, hackerspaces, clubs, and groups in your local community. Learn who around town is passionate about DIY hobbies and has developed special skills that could be taught to others. Building strong partnerships is an extremely important facet of a successful library makerspace, and will help you find the patrons who will really connect with this type of library service. 3D printing is tied so often to the idea of making that for some the two concepts are inextricable. More and more, though, makers have expanded beyond 3D printing into a wide variety of different areas, and ALA helped showcase this very well. At one panel, presenters spoke about using tools like Lego WeDo in their library makerspaces. They also pointed librarians toward Adafruit and SparkFun as useful resources. On Maker Monday, a number of interesting and crafty projects were on display at the Maker Showcase. Heidi Gustad of Hands Occupied demonstrated to attendees how to design with washi tape, while the Museum of Science and Industry’s Fab Lab showed off their desktop vinyl cutter. Makers from Chicago’s Pumping Station One showed off some of their brewing equipment and taught attendees about picking locks. Check out our photos from the conference and the Maker Showcase for more interesting projects that explore the world of making beyond what can be achieved with a 3D printer. Did you attend ALA? Do any of these ideas factor into your makerspace? Share your thoughts in the comments below or on Twitter!